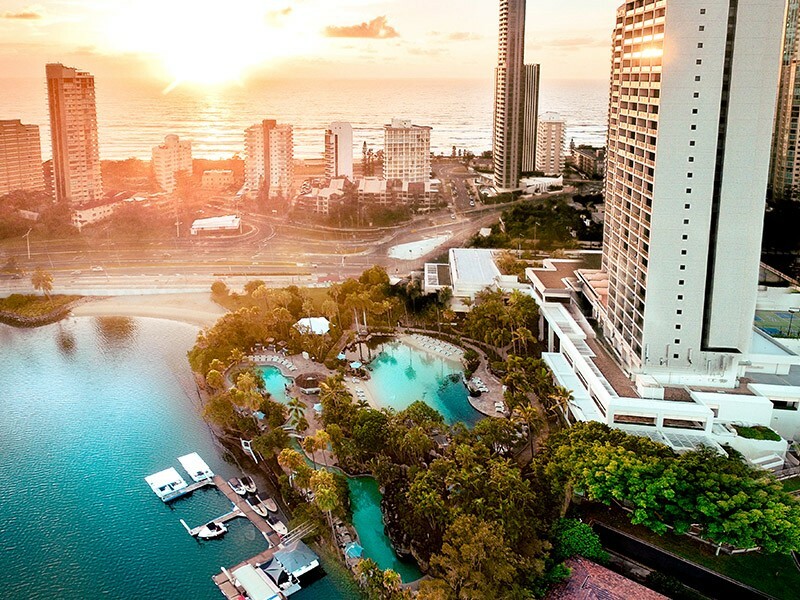 Surfers Paradise Marriott is a unique resort nestled in a picturesque location between the Gold Coast's golden sand beaches and winding waterways that offers unparalled service and facilities. 1. The $8 Million Dollar Pool. 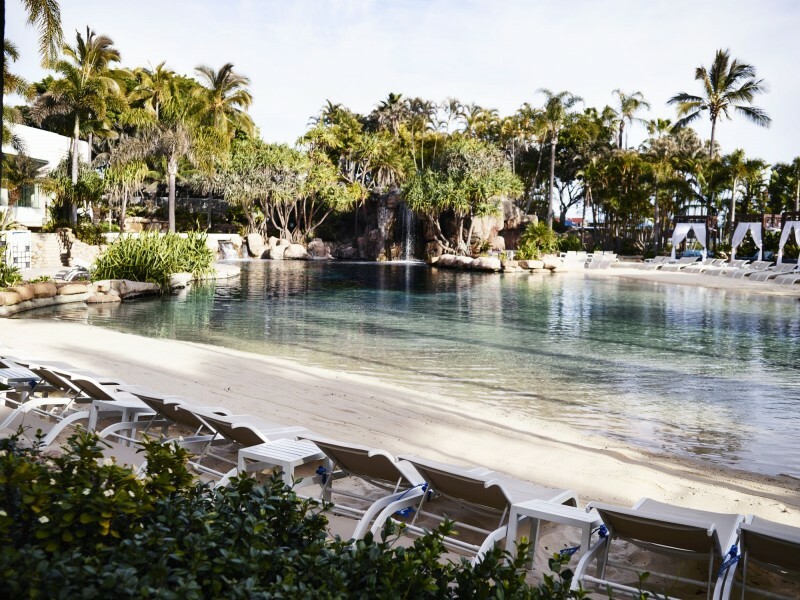 Imagine an enormous sandy lagoon filled with tropical fish, waterfall, separate fresh water pool (sans fish) that has a whirlpool, caves that connect the pool to the grotto spa to the waterslide, cabanas and even a special silica sand formulated to stick to itself rather than you. Needless to say it's special. 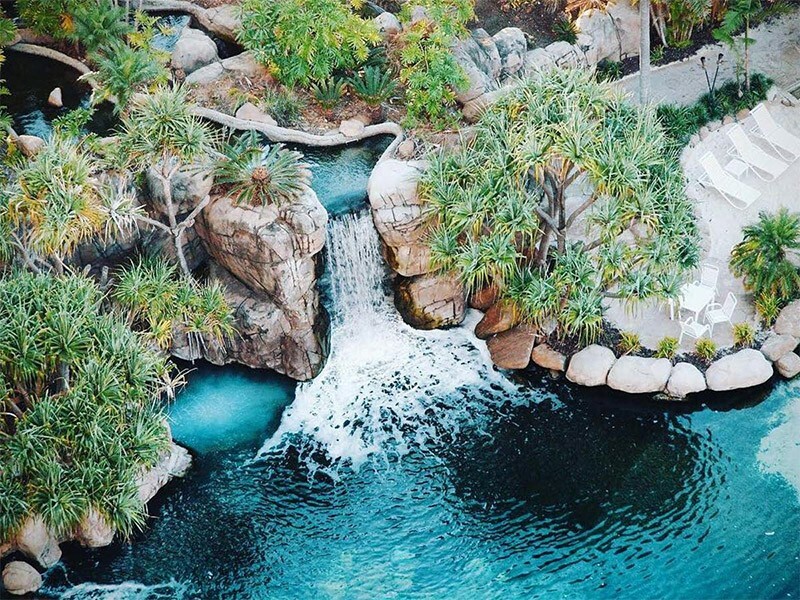 We're giving it the label of best pool on the Gold Coast. You can grab a snorkel and swim with the fish anytime, or stay dry and enjoy them at the 9.30am daily feeding. We mean 5 star when we say Marriott. This resort is not messing around with their customer service, but rest assured, that doesn't mean it's hoity-toity. 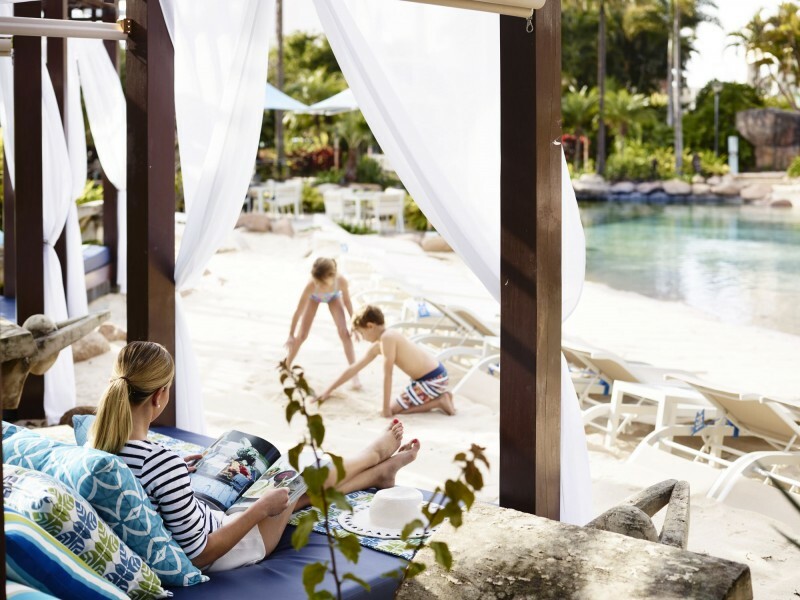 It's still a family resort and there is no need to be embarrased by slightly sticky or happily chattering children. The team here are ready to take care of your every need. 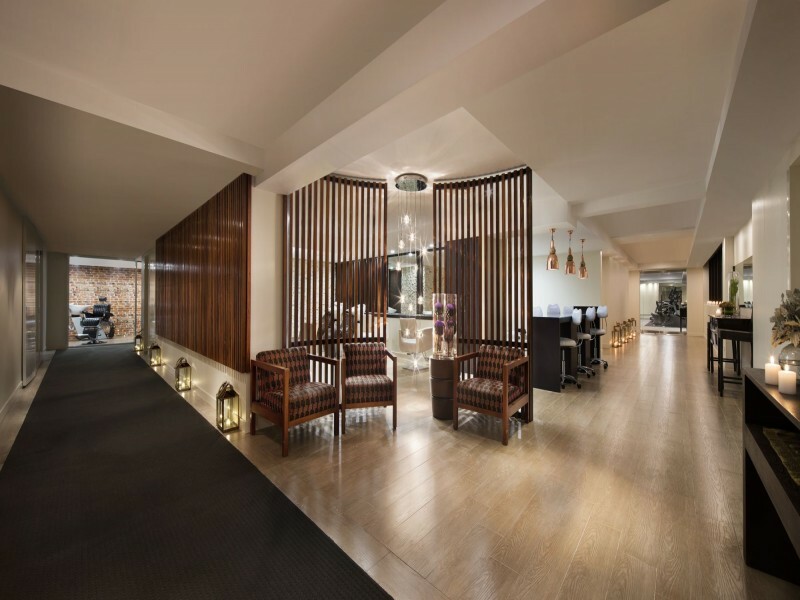 The resort features several dining options including 2 award winning restaurants, a fully serviced hair and day spa including separate private massage rooms, business ‘Elandra Retreat’ club with evening drinks and complimentary canapés, lounges and bars, fully serviced 24 hour gym with access to personal trainers, and a kids club. Essentially the resort is what dreams are made of. 4. 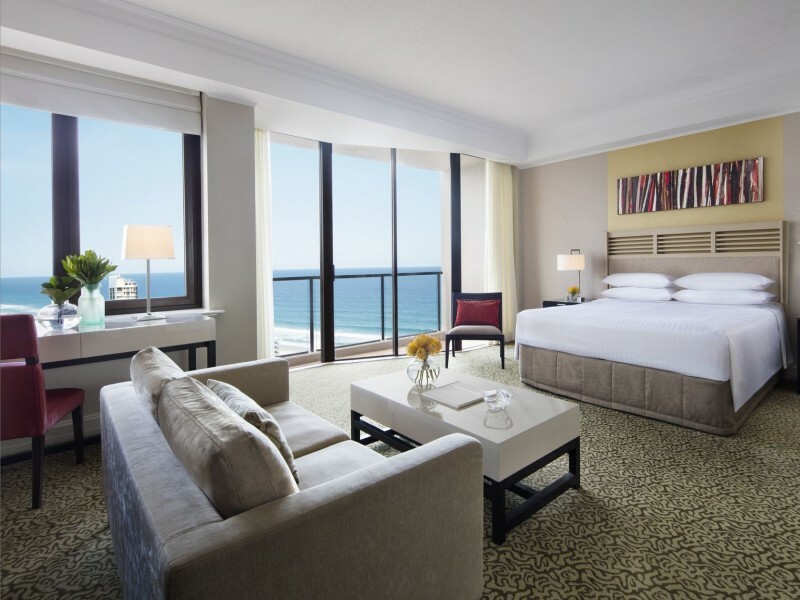 Every Suite Boasts Panoramic Views. Yep. Every. Suite. Has. A. View. You'll be gazing out towards spectacular Gold Coast views of either the luscious hinterland or pristine coastline - its 360 degree unobstructed views are maintained via zoning restrictions surrounding the building guaranteeing views for years to come. The resort boasts 5 restaurants including the Pool Bar, Citrique Seafood Buffet, Misono Japanese Steakhouse, Chapter & Verse Bar and Lounge, and the Elandra Retreat Club. 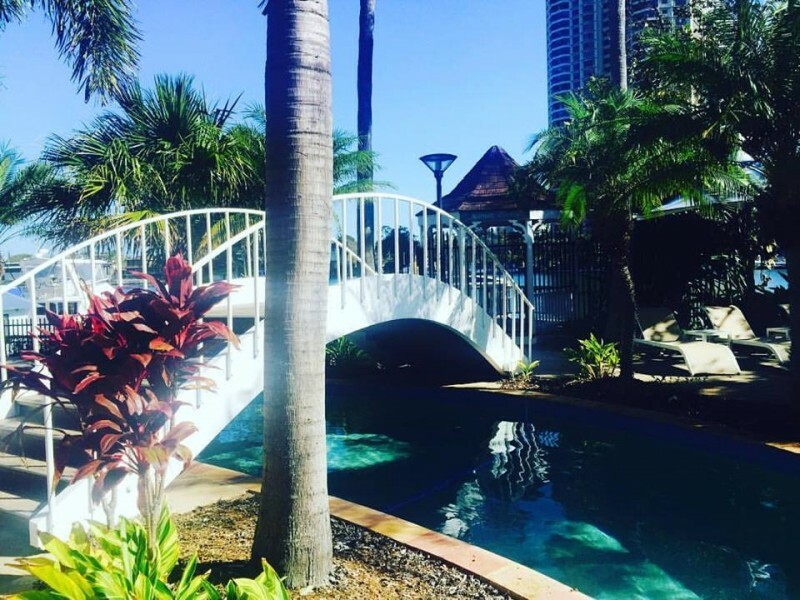 Both the Pool Bar and Chapter & Verse offer light meals and are great when you are out and about on the water or to grab a coffee before heading off on a Surfers Paradise adventure. 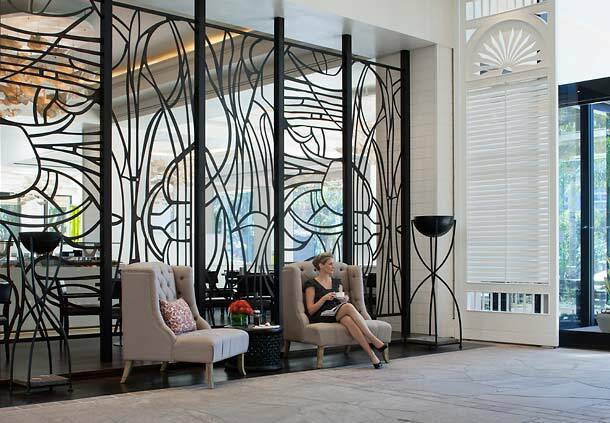 Chapter & Verse Lounge and Bar features a half indoor half alfresco dining area allowing guests to enjoy the surrounding tropical gardens, water features and the refreshing sea breeze. Be sure to try a dish from the hot rocks menu, no dining experience quite compares to food served on sizzling stone! 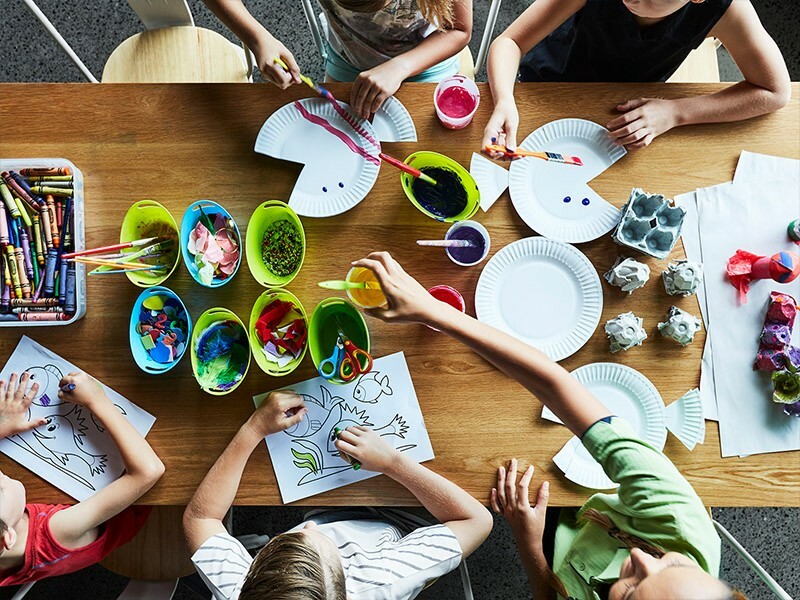 Our DQ Hot Tip is, if you don’t feel like making lunch or dinner a formal affair, simply ask the friendly staff at Chapter & Verse for a few kids’ options. They’re happy to accommodation with meals such as steak and chips, fish and chips, and nuggets and chips. For those who love fine dining, you have your choice of the award winning Citrique and Misono. 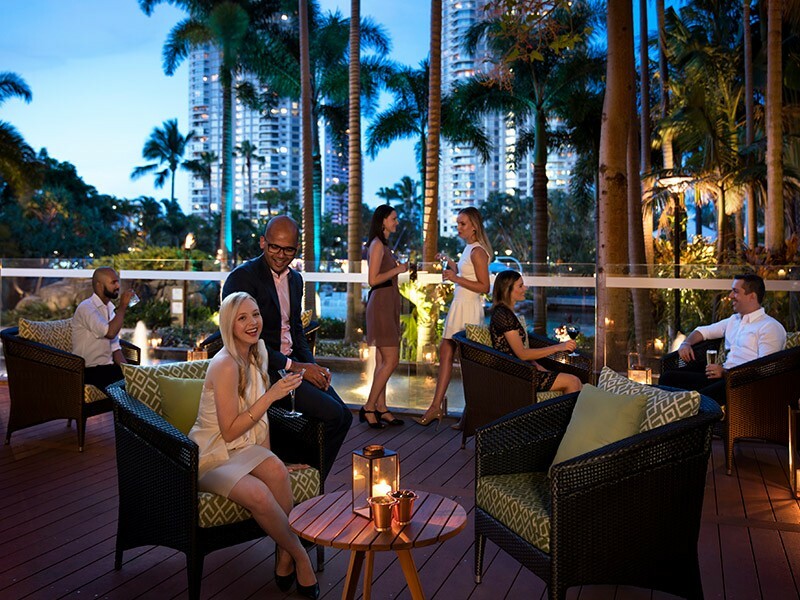 Citrique is the South East Queensland – Informal Seafood Restaurant 2014 Winner. 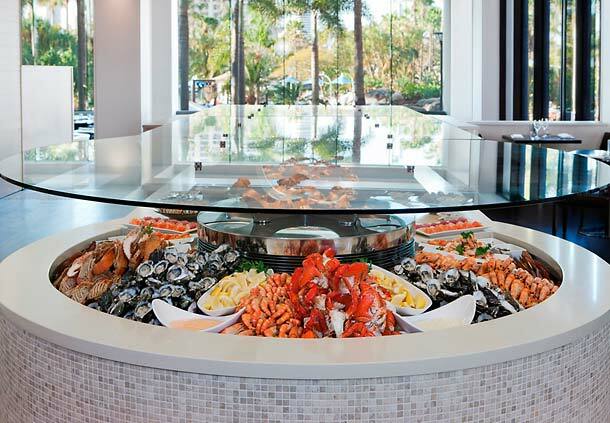 One glance at the buffet and you will see why! 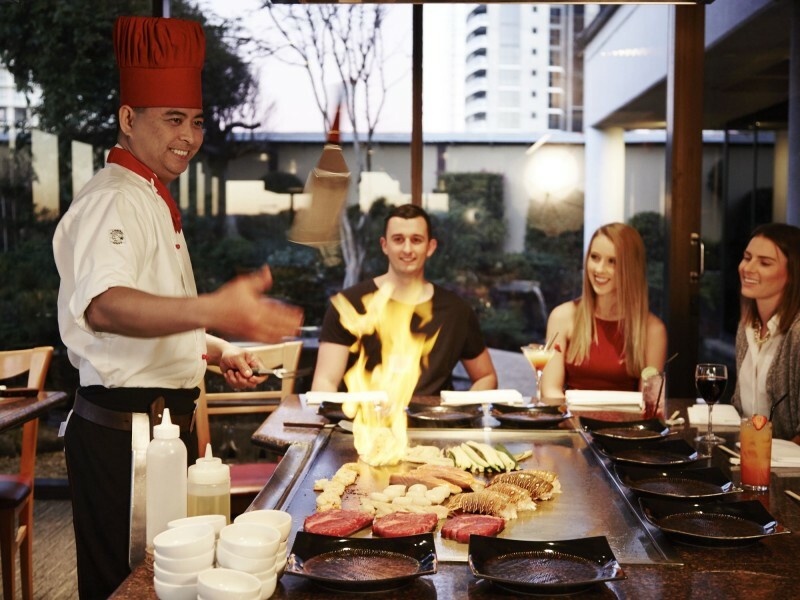 Misono, formerly Benihana, has received a certificate of excellence 2014 and is raved about throughout the Gold Coast as the best teppanyaki restaurant and Sake Bar in town. 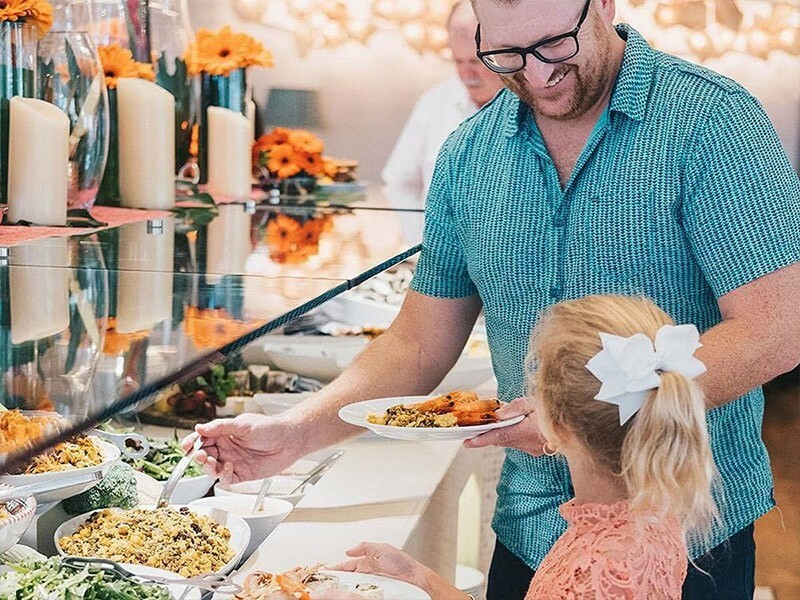 It is also known for keeping the children entertained and engaged by the charming and personable chef’s as well as mouth-watering cuisine. 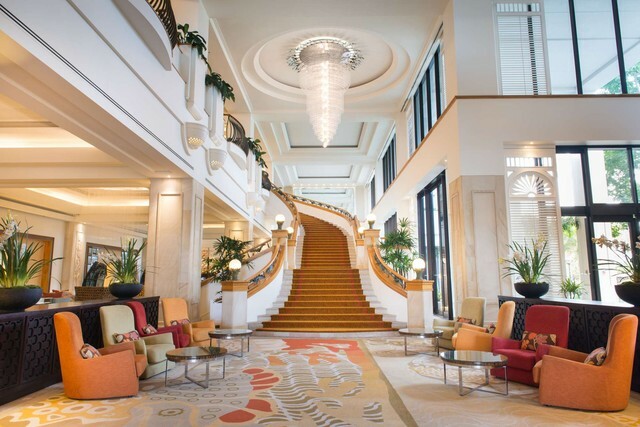 While the Marriott spoils you for dining choices if you choose to venture from the resort, you will be rewarded with a plethora of cuisine options throughout Surfers Paradise. Before venturing out, be sure to check out the Activities Desk in the lobby. They have information regarding everything from stand up paddle boarding to theme park tickets and transfers to Kids Club timetables. 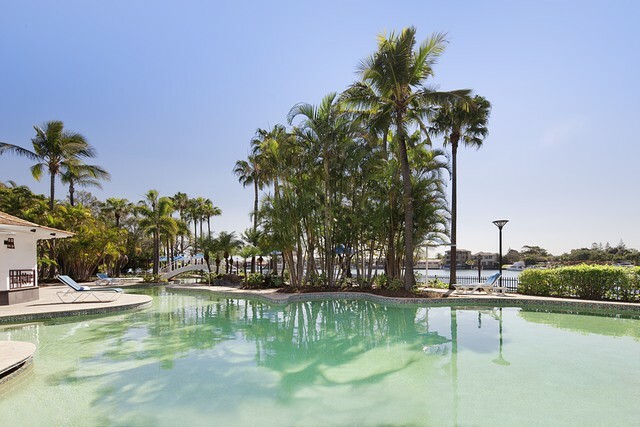 One of the huge benefits of the Marriott is its convenient placement 200 metres from both the beach and the nearest tram station connecting guests to the wider Gold Coast. 7. 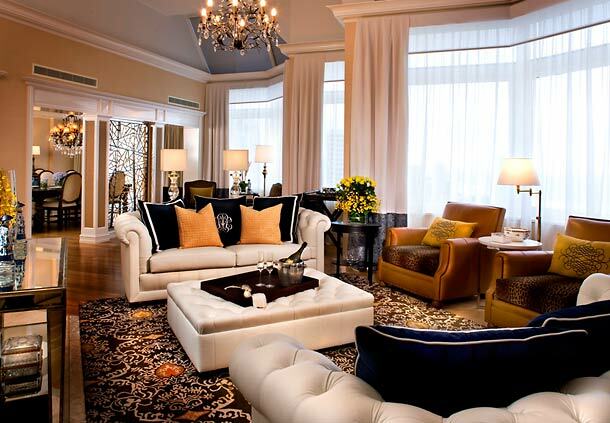 Internationally Recognised Family Resort. 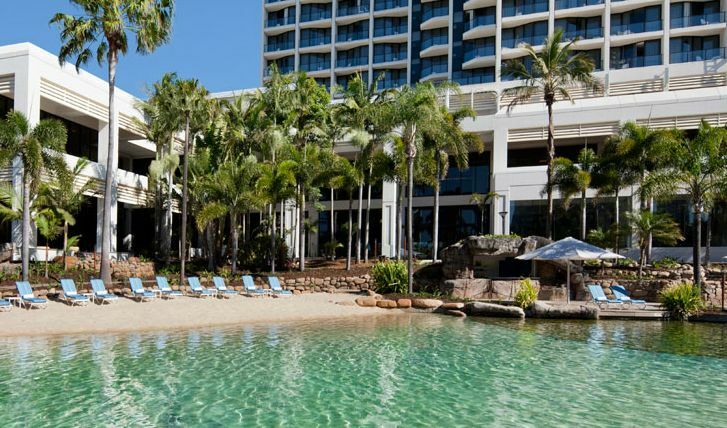 Did we mention the Marriott Surfers Paradise made number 3 on Holidays with Kids Top 10 Family Resorts Over 4 Stars? 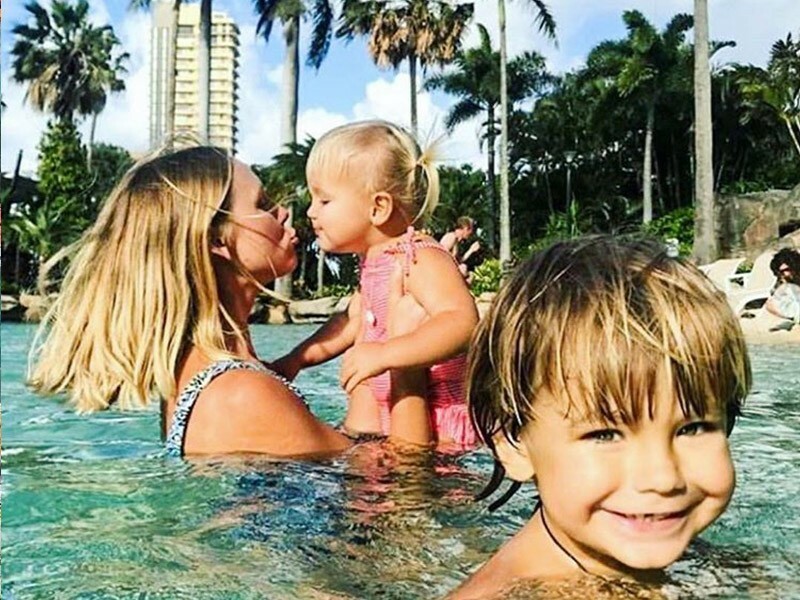 A trusted name in family holidays, Holidays with Kids ranks a variety of hotels and resorts each year according to their suitability for families, being listed as number 3 is a huge feat that is well deserved. Beside the fresh water pool, just over the bridge, is an exit that leads out onto one of the waterways that lines the resort. From here you can hire a boat and fishing rods and head out to do a spot of fishing. You don’t even need your boat license! 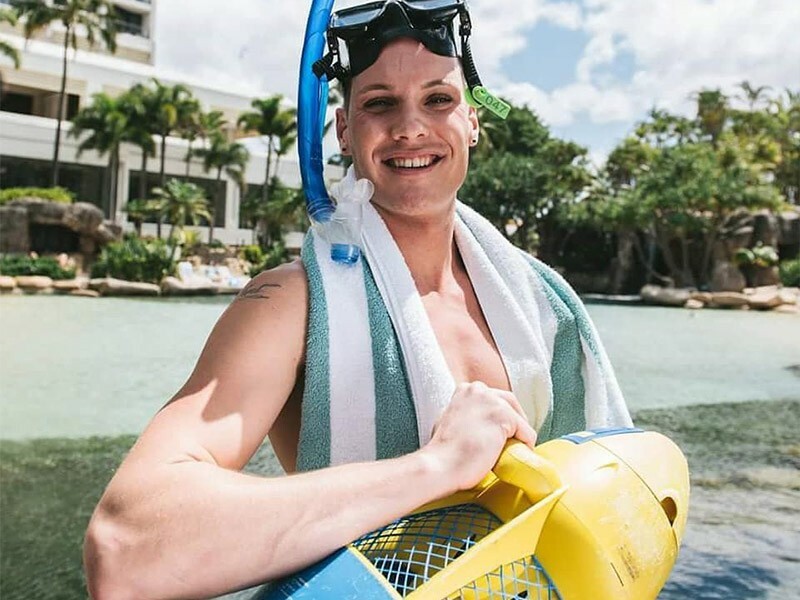 You can also hire Electric Water Scooters at the Pool Bar to help you zoom around the expansive pool area! 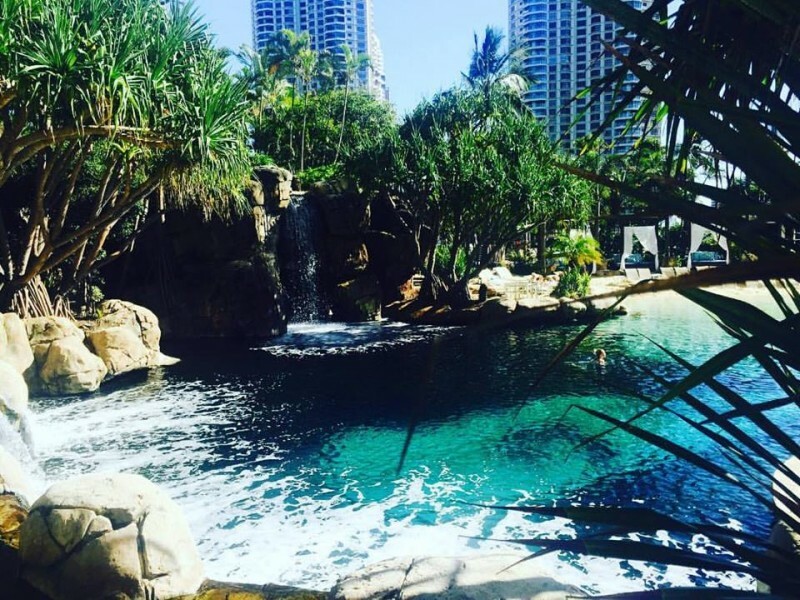 The Marriott Surfers Paradise is a truly magical experience that cannot be recreated in another hotel. 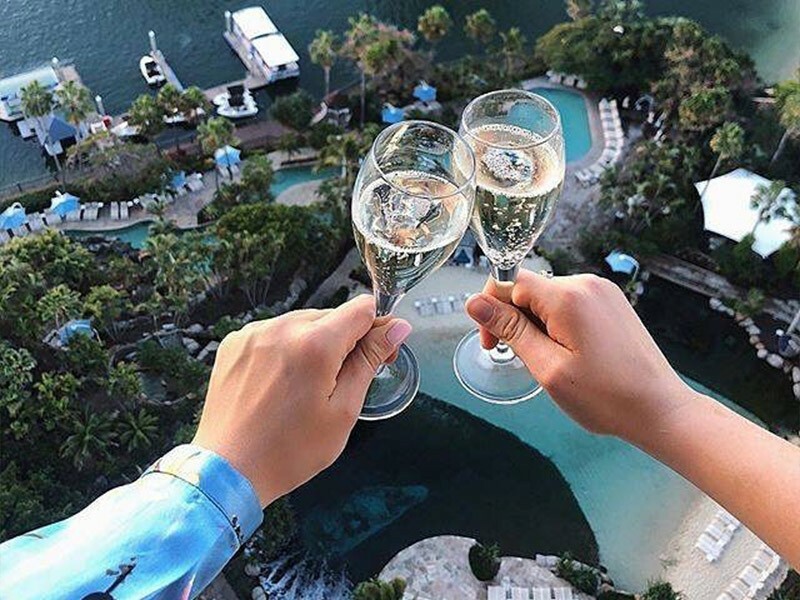 This unique resort is a cocktail of luxury, relaxation, convenience, adventure, elegance and tropical fun that will have you lining up for another. 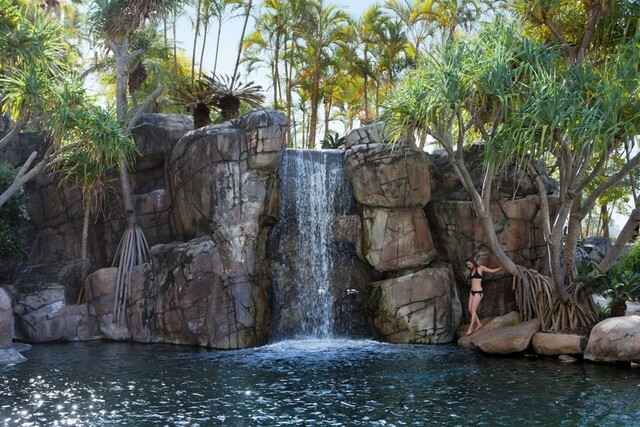 Enquire about Marriott holidays with the holiday experts at Discover Queensland today on 1300 788 553.